Pink Ink and Polka Dots: Step into 2nd Grade with Mrs. Lemons: My First Giveaway! Step into 2nd Grade with Mrs. Lemons: My First Giveaway! 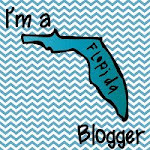 I just found a great new blog and she already reached over 100 followers in her first month! So that means: GIVEAWAY! Click below to enter now, you won't be sorry! Step into 2nd Grade with Mrs. Lemons: My First Giveaway! : "Look at these precious shirts from Claire Lynn ! Before last year started, I bought the first 2 shirts from First Monday in Canton, TX. I ..."